A fearless display of near-reckless, aggressive, no limit hold’em poker from amateur player Jamie Gold – albeit a player good enough to have received personal tuition from the immortalised Johnny Chan – saw Gold enter the top ten with a huge pile of chips - over $25,000,000 worth. Compare this to the $11,000,000 plus change held by Richard Lee in third place and you’ll understand that every player bar second placed professional Allen Cunningham faces a stiff challenge for the title of World Champion! But no-one should discount Cunningham, the four-times Bracelet winner, who has all the weapons necessary to give himself maximum leverage on this tournament. But, like all final tables - as demonstrated last year when Australia’s Joseph Hachem nursed a small stack to ultimate victory – the turn of the cards in one moment of fate can be deadly to a player’s chances no matter how well he maximises his chances. Just ask Andy Black of Ireland who last year saw his final table chip lead disappear in a puff of dry ice and an ace on the river. The bottom line is that any of the players has a chance to win but the cards have to be kind when the chips are down. 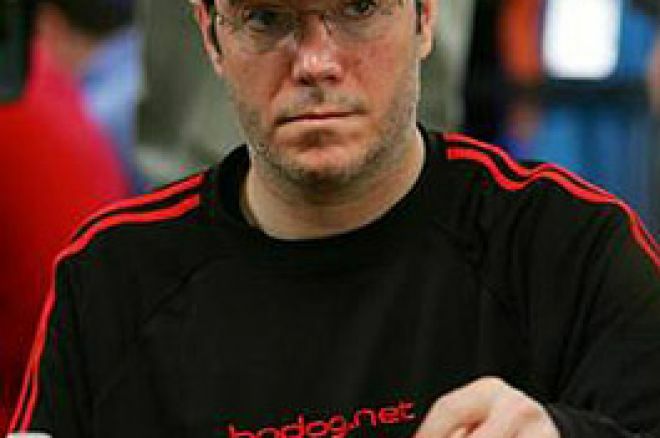 Allen Cunningham's performances are impressive and he may be in a position to take the title of WSOP Player of the year for the second year running which, given the vast numbers of entrants in these recent festivals, would be a stunning achievement and testament to this player’s extraordinary poker skills. Ed note: Download Everest Poker for a special $100 bonus using code PNEWS1 and play the biggest WPT satellite tournaments. Exclusive Freeroll to the 888.com UK Poker Open!